Are you looking for an easy way to bake wings? Oven baked Sriracha honey wings may be just the dish for you. Do you love wings, but you hate to deep fry them? I can share with you how to make wings super crispy in the oven, and you will soon fall in love with wings made at home all over again. What makes these wings super crispy? It’s one secret ingredient. Baking powder helps to pull out the moisture of the skin of the chicken when you pull out that moisture, the skin can become nice and crispy. This recipe starts out with a spice rub you will place on the chicken. It is made with baking powder, salt, and pepper. By sprinkling this onto the wings, and baking the wings on a wire rack on a baking sheet will help to circulate the heat and it will make the wings super crispy. While the wings are in the oven you can make a simple sauce, it has Sriracha, honey, and lime juice. This sauce is perfectly seasoned, it is not too hot, and it is not too sweet. If you wanted to make it hotter you could toss in a few peppers and allow them to marinate to bring up the heat if you like. When the chicken is done, you will pour over the sauce, and enjoy the wings. 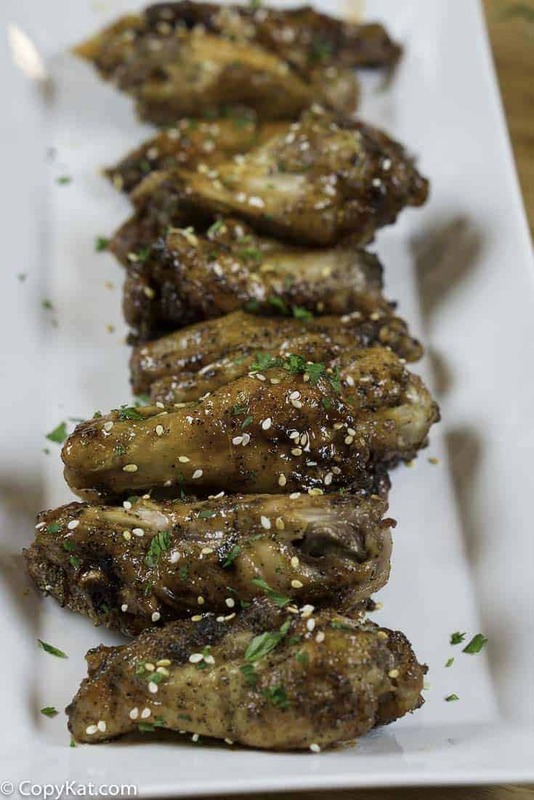 I know you will find these wings super crispy, and very delicious. I hope you give these wings a try. Love wings? 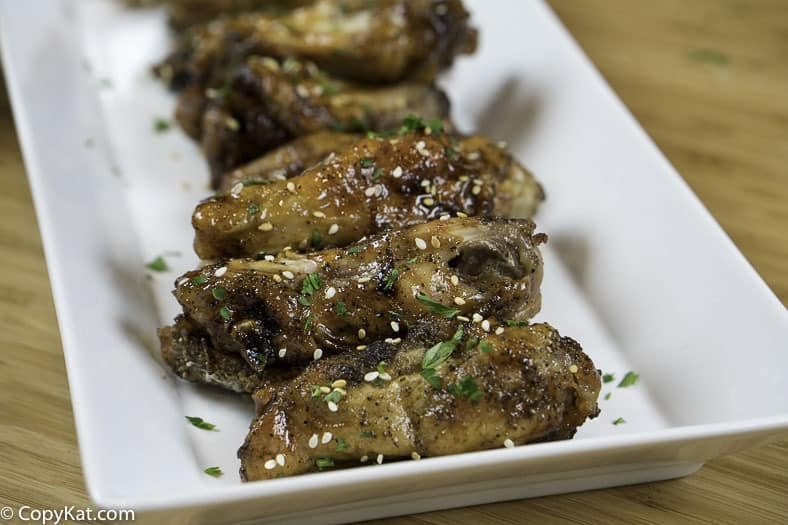 Be sure to check out these wing recipes. Oven baked Sriracha honey wings are a great recipe. Preheat the oven to 350 degrees. Combine baking powder, salt, and ground black pepper in a small bowl. Mix to combine well. Sprinkle seasoning mix liberally over the chicken. Place the chicken on a baking sheet that you have lined with foil topped with a wire rack. Bake the chicken for 20 minutes.After 20 minutes remove the chicken, flip the chicken over, and bake for another 20 minutes. Depending on the size of your wings, you will need to bake the chicken for up to 20 minutes. The chicken should be golden brown when it has finished cooking. While the chicken is in the oven combine, the Sriracha, honey, and lime juice in a pot on the stove. Heat the sauce on low until it has combined. When the wings are done, place into a bowl, and drizzle the sauce over the wings. Toss to coat well. Loved these! I would make these again. Thank you so much for this recipe ! I enjoy your site very much ! Fantastic wings.question, do you have a recipie for sweet and sour battered chicken balls cooked in the oven not deep fried. You are so smart !!!!! !